As the first semester nears an end and college season tapers off, many seniors are looking towards the Senior Luncheon, Prom, and Graduation. With such festivities comes senior notables, which have already taken off. The nomination and voting process has begun, but many seniors may be surprised to learn that this year’s yearbook will be slightly different than previous years as senior notables will now be non-gendered. Previously, each category had two winners: one male and one female. However, this system gave non-binary students a disadvantage. Molly McQuillan, Adv. 901, was one of the students who proposed the change. “If someone was nominated once for ‘Biggest Hypebeast Boy’ and once for ‘Biggest Hypebeast Girl,’” said McQuillan, “they'd have fewer nominations than if they had two nominations in just ‘Biggest Hypebeast Boy.” While the printed yearbook never explicitly said “male” or “female,” the old system forced nominated non-binary students into one of the two categories, which made some students uncomfortable and also decreased their chances of winning. To remedy such problems, yearbook has scrapped the old format and now any two individuals can win, regardless of their gender. The nomination form for Senior Notables has concluded, but the second round of voting has been discarded and replaced with a new non-gendered form. Yearbook Senior Section Editor Caroline Merck, Adv. 901, said, “Yes, this means that two males could win Most Likely to be President, or two females could win Best Singer, but the yearbook staff thinks that this solution will make winning a notable fair to all students.” Merck later said that, “If you ask the school who the two youngest students are, they would answer with the two youngest people regardless of their gender, not the youngest boy and the youngest girl. The same reasoning should apply to the best athletes and singers.” Non-gendered notables would remove the factor of gender and award the top two students who deserve it the most. 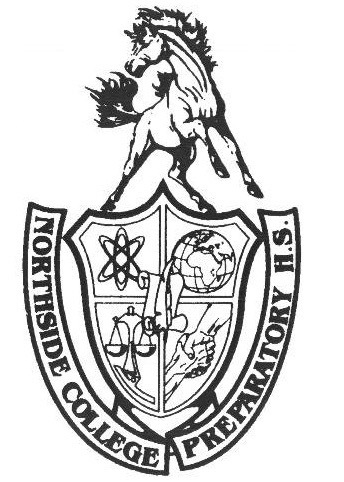 Genderless Senior Notables are an indication of Northside’s progressive and inclusive nature. Yearbook Senior Section Editor Inyoung Nah, Adv. 904, said, “With these changes, we are trying to be as inclusive as possible.” Merck agreed and said that “this change shows that we are inclusive to all students and progressive about the way things are done at Northside.” Doane also added that “there will be more representation and protection of trans kids with these changes.” These changes will carry over going into the future in an attempt to make Northside an environment that is as safe and supportive as possible.